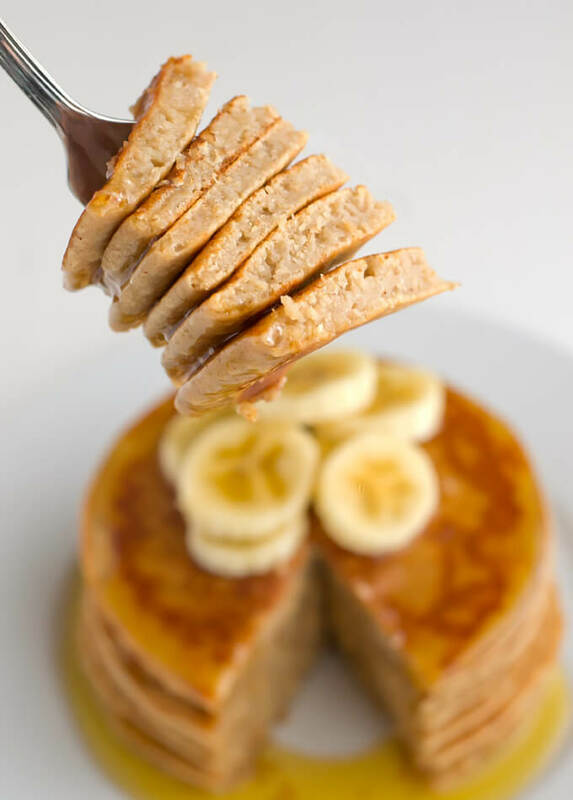 These pancakes are vegan, gluten and sugar-free and it’s the best pancakes recipe I’ve ever tried, it’s so awesome and really easy to make. This is a very healthy pancakes recipe with less fat and cholesterol, with amazing taste. 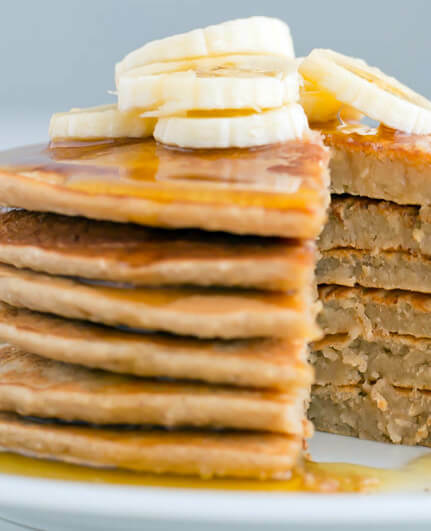 You’re gonna love it these pancakes with sliced banana and agave syrup. We can use bananas or applesauce instead of eggs in our vegan recipes, but you can also use flax eggs or chia seeds. We use bananas and apple sauce because they are cheap and so easy to get. You can use soy milk, but you can also use other plant milk and you can make you own milk, healthier, it’s cheaper and it tastes very good. This recipe are gluten-free because instead wheat flour we’ve used rice and oat flour. Rice flour can be founded in many grocery stores and markets. We use agave syrup, but if you’re not vegan you can use honey, maple syrup or whatever sweetener you like. You can try the batter because it’s egg-free and you can add more sweetener if you want. Good choice is vanilla flavor, we use vanilla extract in almost all sweet recipes, but I only use homemade vanilla extract, it’s soo cheap and really easy to make. That is optional, so you don’t have to use. These pancakes are amazing because they are soft, healthy, fluffy, sweet and your kitchen is gonna smell very nice, but be careful, they are addictive and you’ll always want more! This pancakes recipe is vegan and gluten-free, this is the best pancakes recipe, very healthy with less fat and cholesterol.